The Los Rios Historical District has been called the oldest neighborhood in California. The development of Los Rios Street is closely connected with the establishment of Mission San Juan Capistrano, located nearby. In 1794, 40 adobe structures were constructed at the present site of Los Rios Street to house the married couples, Juanenos, artisans and soldiers from the Mission. After Mexico won its independence from Spain in 1821, the Mission land was given or sold to those loyal to Mexico. As the village evolved, it was incorporated into the plans for the secular pueblo of San Juan Capistrano, created in 1841. In 1887, the Santa Fe Railroad came through San Juan Capistrano, and new building materials were introduced to the area. But the construction of the railroad line itself created a boundary that separated Los Rios Street from the remainder of the town. As a consequence, Los Rios Street remained residential and appears much as it did at the turn-of-the-century. Only three of the district’s original adobe homes, however, have survived the passage of time: the Montanez, the Silvas, and the Rios. 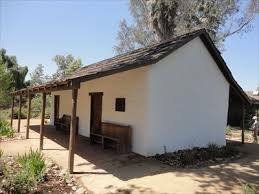 The Rios Adobe is the oldest continuously occupied residence in California. Ten generations of Rioses have lived there, and it is currently home to Stephen Rios and his family. The Silvas Adobe is in the midst of a lengthy renovation by the San Juan Capistrano Historical Society in an effort to protect it from earthquakes. Once the renovations are complete, there are plans for it to house Native American artifacts. And the Montanez Adobe? Well, it’s already been restored and can be viewed today with an appointment from the Historical Society. The adobe was famously inhabited by Dona Polonia Montanez… but we’ll get to her later. 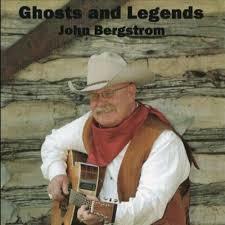 The song from the midpoint of the show was Ghosts and Legends by John Bergstrom. You can find the song and the album by the same name on iTunes. In the late 19th century, the walkway that extends from Los Rios Street past Zoomars Petting Zoo to Paseo Adelanto served as the only route to the ocean from San Juan Capistrano. Prostitutes often spent time on the route, greeting travelers in hopes of soliciting business. the prostitute could clearly see that he was a man of means. The wealthy man was enamored with the prostitute, because she was very beautiful and during the afternoon they spent together in the prostitute’s quarters, he said he'd marry her. Not right away, of course. He had business to tend to first. But he promised her he’d be back soon and he’d carry her away to a new life full of luxury where she and her two children could live happily in a large house. After he left her that day, the beautiful prostitute went to her two children and told them all about the wealthy man who was going to come for them and take care of them all. As the days past, the man did not return, but the beautiful prostitute kept telling her children the story of the man and that soon they would all move away together. After many months had past, the young prostitute was again plying her trade on the walkway to the ocean, when she saw a stately carriage being driven by a very familiar looking man. She ran to the carriage, overcome with joy that her soon-to-be husband had finally returned for her. But when she approached the carriage, she realized the man was not alone. Sitting beside him was a very beautiful woman. The young prostitute was stunned. When the man noticed her standing there, he looked at her with some recognition and reached out of the carriage to hand her some small objects. They were children’s toys. But he said nothing and quickly he and the beautiful woman in the carriage rode away. As she stood staring at the toys in her hand, was overcome with confusion – but then with rage. She went home and got her two children, who walked them to Trabuco Creek and drowned them one by one, throwing the wealthy man’s gifts into the waters after them. Once the fit of rage had gone out of her, the woman found herself overcome with grief and regret for having killed her children. The woman, in her sorrows, waded down into same creek and let the waters rise over her, drowning herself. Today, her ghost is said to haunt the Trabuco Creek area, searching for the children. Does that tale sound a little bit familiar? It should. It is, of course, the San Juan Capistrano version of the La Llorona tale. A couple of months ago, we did an episode about the La Llorona legend, its possible origins and how it’s spread over the centuries. If you haven’t heard that episode, I suggest you go back and do so. If you did hear that episode, you’ll notice that there are differences between this tale and some of the main La Llorona stories, and yet all of the important ingredients are there. And while San Juan Capistrano is a place that has no shortage of its own ghosts who lived and died right there on their very streets, its interesting that one of their most frequently seen ghosts is a legend for whom space time and geography are no objects. 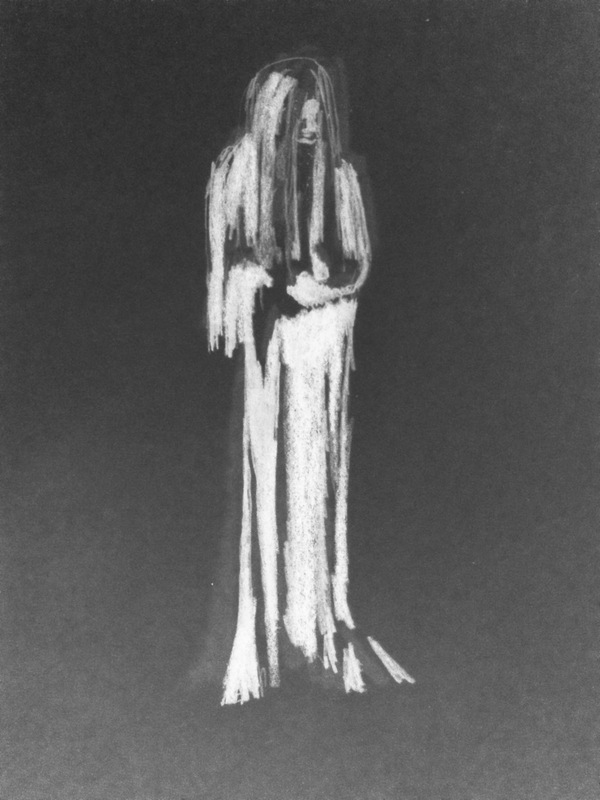 In fact, even in San Juan Capistrano, La Llorona isn’t only seen near the Trabuco Creek banks of her legend. Her sad face and white tattered gown are also reported along Los Rios Street, and at the well at the Mission. Pretty much anywhere in San Juan Capistrano where one can find water, a La Llorona sighting is bound to happen. While La Llorona is a legend not necessarily bound to a living, breathing historical person – there are plenty of eerie figures in San Juan Capistrano who are. And there are plenty more who are likely a composite mish-mash of one or more historical figures, with a little artistic license thrown in, as the stories get told and re-told. And that appears to be the case with spirit known as the Phantom of Del Obispo. Del Obispo is a street that intersects Los Rios Street just before you reach the historical part of town. Whether early sightings of the phantom were on that street or near the intersection of the two is unclear, but these days she is seen primarily on Los Rios, wearing her long white dress. Sometimes she is seen with her large, black dog. Sometimes, the dog, with its frightening red eyes, is seen alone. Coming across this dog at night has familiar lore attached to it that once accompanied black cats: crossing its path is believed to foretell tragedy or doom. According to legend, the Phantom of Del Obispo is the spirit of a woman named Dona Bernadino. Finding historical evidence of Dona Bernadino’s life, at least by that name, has been fruitless - but the legend has it that she was an early settler of San Juan Capistrano and that she was known by her community to be a bruja – a witch who uses with herbs to cast spells. But while trying to find a historical basis for Dona Bernadino has been unrewarding, historical records do give us proof of another woman who lived in the same area - who was also rumored to be a bruja –Martina Burruel. Martina Burruel was nicknamed “Chola Martina” - which indicates she either had Native American blood or she wore items associated with their dress. In her youth, she was the sweetheart of the dastardly bandito Juan Flores, who raided San Juan Capistrano in 1857. In fact, it is said that Chola Martina would approached a merchant who Flores had marked for robbery, and attempted to engage him in business, providing a distraction that allowed Flores to take him by surprise, and rob and murder him. Flores and his gang ate the dead man’s dinner; then shot up the town, robbing the few stores that were there. The Sheriff’s posse arrived in town the next day, and it’s rumored that Chola Martina tampered with the lawmen’s guns while they hung on the porch; removing slugs while the lawmen themselves were mere feet away. While Juan Flores was eventually hung from the gallows for his crimes, Chola Martina was never prosecuted. Chola Martina died in 1910. The Burruel Adobe on Los Rios Street no longer stands today, though the site is being preserved. Rumors abound that buried gold from Juan Flores’s raids are buried somewhere on the property Chola Martina once owned. And it’s near the land’s willowy pepper trees that many swear you can see her still…a phantom of the woman she once was…or as a black dog. So, IS the Phantam Del Obispo is the same as the ghost of Chola Martina? I’m inclined to believe that even if the legends do have two different women as their basis, their similarities have over time conflated into one larger-than-life legend. And in this same neighborhood, there lived yet another legend… and unlike the Phantam Del Obispo, her history left a undeniable paper trail…. Dona Polonia Montanez. Polonia Montañez was born in the pueblo of San Juan Capistrano during the Mexican period of California’s history. Polonia’s parents were Jose Maria Montaño and Josefa Gutierrez. It is unclear what tragedy befell the Montanez household, but we know from census records that by 1851, both of Polonia ‘s parents were no longer in the household and Polonia along with her younger sister Maria and brother Bruno, was living with their grandfather, Tomas Gutierrez – a carpenter at the mission. According to the book San Juan Capistrano by Pamela Hallan-Gibson and Don and Mary Ellen Tyron, in 1841, a carpenter at the Mission named Tomas Gutierrez received 200 square yards (or 30 feet by 60 feet) of land surrounding the mission which may have included the Montanez Adobe. It was Polonia who would eventually move into the adobe and give the structure its name. Though the last name by which Polonia is known today appears to be the phonetic spelling of the plural form of her maiden name. The home was referred to as “Montaño’s adobe” at the time, and is known as the “Montañez Adobe” today. bearing no children. She was married in 1853 to Francisco Cañedo for seventeen years before he died in 1870. Francisco was a servant to Don Juan Forster and he lived in the house that we know as the Blas Aguilar Adobe. In Father O’Sullivan’s Capistrano Nights he relates the story of Polonia’s wedding that she told to him. In the Spanish tradition of giving money to the bride, Dona Ysidora, the wife of Don Juan Forster, gave Polonia three coins to hold onto during the marriage ceremony. But, according to Polonia, Francisco’s little brother knocked her hand during the ceremony and the coins fell. Polonia considered that a bad sign and she believed that the sign proved true: to her, the bad luck was not bearing children. Her second marriage was to Juan Pablo Serrano. The marriage lasted only two years, before Serrano died in 1875. Polonia’s third husband was Isidore Marcello Simard, a naturalist from France according to the 1900 census record. They were married in 1880 and Isidore lived until 1912. Polonia would live until 1917, passing away at 88 years old. The Montanez Adobe was the home of Dona Polonia Montanez for most of her life. Between 1886 and 1910, the Montanez Adobe gained spiritual significance following the secularization of the Mission. The census records generally show Polonia’s occupation as “at home” or “keeping house.” However, Polonia was known to be a healer and worked as one of the village midwives. She was also entrusted with the religious education of the village children during those periods between 1886 and 1910 when Mission San Juan Capistrano had no permanent priest living in the mission grounds. These periods were actually fairly long, when priests visited but none actually lived there according to Father Englehardt. This religious instruction and catechism responsibility earned Polonia the title of “Captain of the Pueblo” and she had a small chapel set up at the northeast corner of her adobe home for the children’s religious training– though ultimately this tiny chapel became the village sanctuary. She is best known for the story of how, during a drought, she took the children to pray for rain for three days in a row, when it finally began to rain and rain..so much that Polonia and the children had to be rescued from being swept into the wash.
Polonia was unlikely to have had much in the way of formal education in such a rural area, other than what was taught by the Mission. There were no colleges nearby, but Polonia no doubt had natural talent and learned her skills and knowledge from her mother, grandmother and other female relatives. 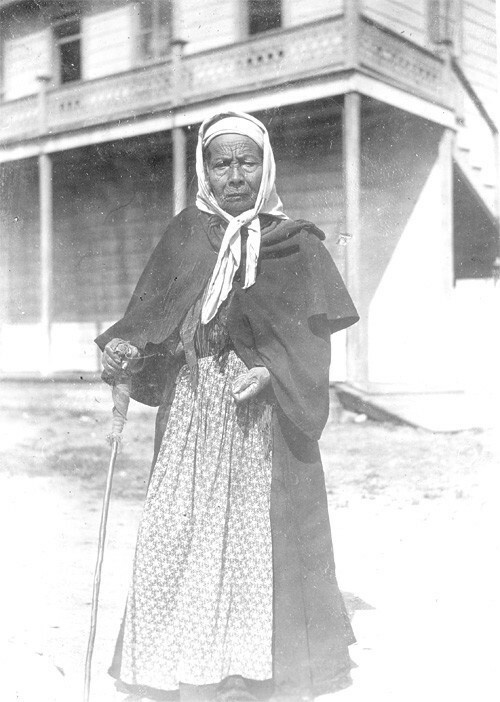 Polonia’s ancestors included families from Mexico and indigenous Juaneño, and one of her female relatives served as an official curandera at Mission San Luis Rey. Oral traditions and learning were long established in San Juan Capistrano from the period of its pre-history before it was known as Capistrano by the first peoples of the area, the Acjachemen (a-Ha-che-men), later known as the Juaneño for their association as converts of Mission San Juan Capistrano. Old ways and traditions continued strong in the lives of the Juaneño as well as other immigrants to Capistrano from Spain and Mexico. And Polonia carved a niche for herself as an independent woman, bridging the worlds of Catholicism and native healing. In fact, Polonia’s last husband, Isidore, had moved from San Francisco to seek her out and learn the traditions of healing herbs. Today the Montanez Adobe is listed on the National Registry of Historic Places as is Los Rios Street. The adobe is owned by the City and artifacts from the late 19th century show how she lived and maintained her home. And though no one has lived in the adobe for many years, there are regular reports of noises, voices and lights coming from the old building in the wee hours of the morning. There is the sound of children laughing and the sound of chairs being pushed around the earthen floor. Visitors have even been chased away from the building entirely by a hovering white light. A ghostly ball of light has been seen by some visitors in adobe’s living room. Census Records, Federal. San Juan Capistrano 1840-1917. Gibson, Pam. Ghosts and Legends of San Juan Capistrano. Gibson-Hallan, Pamela, Tyron, Mary Ellen, and Tyron, Don. San Juan Capistrano.